ZIMBABWE National Association of Mental Health (ZNAMH) has revealed that children as young as nine and 10 around the country are selling drugs in primary schools. The association conducted a research which shockingly showed that Grade 4 pupils are being initiated into drugs as they are selling them to others at school. ZNAMH board member Nyaradzo Nyavese confirmed this sad development saying she was stunned when called to address minors about dangers of drug abuse recently. “The other time I went to a church where I was invited to speak to Sunday school children about drug abuse and I thought they would be a bit older. I was shocked to find Grade 3 and 4 children. “I asked them what they knew about drug abuse and they told me ‘mangemba, mapiristi emapenzi’ (mangemba are pills for mental disorders). I was touched because those children were young, others were in ECD. They told me that some of them are actually selling drugs in primary schools,” Nyavese said. According to the Health and Childcare ministry, 45 percent of all mental cases in the country are caused by drug and alcohol abuse. 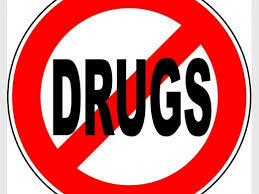 There has been an alarming abuse of drugs in schools around the country particularly in Bulawayo. Bulawayo Provincial Affairs minister Judith Ncube recently revealed that drug dealers in the country’s second capital are allegedly lacing food with drugs for sell to school children during break time. They allegedly sell cakes, freezits, scones and maputi mixed with drugs at various schools in the city. Ncube said the astounding revelations were made during a stakeholder meeting comprising parents, pupils and law enforcement agents at Mpopoma High School. The minister said the drugs were being sold by adults who are devising means of selling them to school children. “As a nation, as Bulawayo we can’t sit back and do nothing. Possibly, there is someone involved in the corrupt activities because when you are involved in those things you are paid for your plans and strategies to destroy children through drugs,” she said. Scores of residents demonstrated at Entumbane Police Station in Bulawayo against drug dealers who are allegedly selling drugs to their children in the suburb. Drug abuse among children has become a global challenge. Recently, a gang of primary school pupils from Cherry Fold Community Primary in United Kingdom were suspended after they were found selling drugs in the playground.